The national average is $2.76 a gallon, while Golden State drivers pay $3.88. Eco-virtue is expensive. For most American families, the ritual summertime road trip is a lot cheaper this year thanks to plunging gas prices, propelled in part by the U.S. shale-oil boom. The average gas price nationally has dropped by nearly 25% to $2.76 a gallon over the past 12 months. California is another story. While gasoline in the Golden State is averaging $3.88 a gallon, the average price in the Los Angeles market shot up 65 cents this week to $4.30 a gallon, about 20 cents higher than a year ago. Gas prices surpassed $5 per gallon at some stations, hitting $5.49 in downtown L.A., according to GasBuddy.com. As usual, purported consumer activists are blaming collusion among putatively monopolistic oil companies. The real culprit is anti-carbon regulation promoted by a cartel of green activists and liberal politicians that is aimed at raising energy costs to discourage consumption. Sticker shock at the pump, like water rationing and high electric rates, is the price Californians must pay for their environmental virtue. For most of the 1980s and ’90s, Californians paid roughly the national average, according to U.S. Energy Information Administration data. Since 1999—the year Democrat Gray Davis assumed the governorship following 16 years of Republican leadership—California gas prices have sizably surpassed the national average and most of the lower 48 states, principally due to more stringent fuel regulations. California gas taxes are also about 12 cents higher than the national average. In 1999, Mr. Davis’s Air Resources Board banned the fuel additive MTBE—a smog-reducing oxygenate that in low quantities has been detected in groundwater. It also adopted cleaner “reformulated” fuel standards that raised production costs. A tiramisu of other environmental mandates have been layered into the state’s fuel standards. The results? By 2006 Californians were paying 23 cents more than the national average for regular gas. The disparity increased to 40 cents in 2014 and now sits at $1.11. Next to crude, electricity ranks as refiners’ largest production cost. Electric rates like gas prices have soared in California thanks to the state’s mandate that requires that renewables make up 33% of the state’s electricity by 2020. Gov. Jerry Brown and Democratic legislators have proposed raising the mandate to 50% by 2030. Over the past three years, electric rates in California rose by 2.18 cents per kilowatt-hour—about four times the rate nationally—as more solar and wind power has come online. Meanwhile, nuclear plants, which generate cheaper electricity, have been decommissioned, and hydropower has flagged because of the drought. The state’s 2006 global-warming law, AB32, also established a cap-and-trade program that requires large industrial companies operating in the state to cut their carbon emissions or buy permits. Cap-and-trade auctions commenced in 2012, but this year refiners have to buy permits. 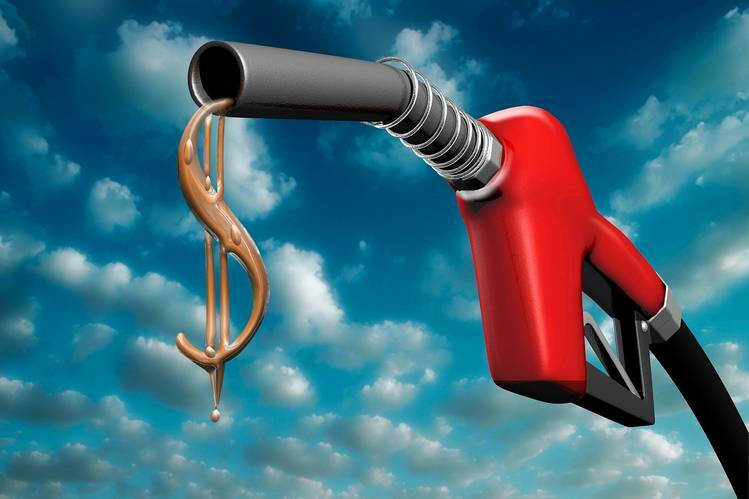 Based on an Air Resources Board analysis, the Western States Petroleum Association last year extrapolated that cap and trade would add 16 cents to 76 cents a gallon to the retail price of gas. Other economists projected a 10-cent bump. Sure enough, gas prices skyrocketed this year, though it’s tough to disentangle the impact of cap and trade from other ill-conceived environmental policies. State and federal environmental mandates have forced several smaller, inefficient refineries in California to shut down over the past two decades. Only 14 refineries in California produce the state’s pristine-burning fuel, and most operate at nearly full capacity to stay cost-effective. Few refiners outside the state blend California’s reformulated fuel. In most of the country, a problem at one refinery won’t significantly affect retail gas prices. But in California, when one refinery shuts down, others can’t pick up the slack. And it can take weeks to import refined fuel by tanker. In the meantime, customers are stuck paying higher prices. Hence this year’s price swoon. Following an explosion at an Exxon Mobil refinery in Torrance, and a labor stoppage at a Tesoro plant in Martinez this winter, gasoline prices rose nearly a dollar. Eventually, imported oil helped cover the supply-demand gap. But recently a Tesoro refinery in Carson reduced its output to perform annual maintenance, which has again stretched supply in the Southern California market. In May Democratic state legislators held hearings to “investigate” the gas price spike. San Francisco hedge-fund grandee Tom Steyer has demanded subpoenas of oil-industry executives. “As everyone knows, the oil companies have been charging Californians up to $1 billion per month more for gasoline than if we paid the national average,” the billionaire environmentalist asserted. “It’s time to put an end to the Big Oil giveaway.” His remedy? An oil-extraction tax. Here’s a better idea: Mr. Steyer and his liberal friends in Sacramento should take the stand to explain why they’re gouging consumers to indulge their rich green appetites. Ms. Finley is an editorial writer at the Journal.